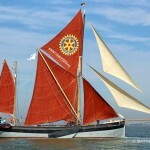 THE THAMES will be play host to the now-annual Apprentice Thames Barge Driving Race on Saturday 29th October. 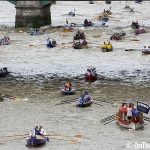 The barges, powered only by oars or sweeps, will race in strong tidal currents along a seven-mile course from Greenwich to Westminster. 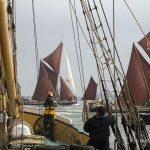 The Apprentice's race has been set up in recent years to complement the the annual Thames Barge Driving Race which has been run since 1975. 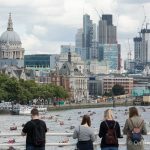 “The barges that our apprentices row are traditional lighters, some of them are over 100-years old” explains John Potter, Chairman of the Thames Barge Driving Trust who organises a number of barge driving events on the tidal Thames. 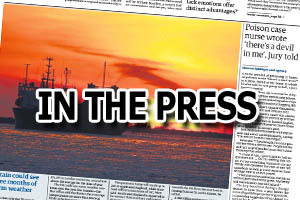 “Watermen & Lightermen of the River Thames have been plying our trade on the river for over 500-years and the method of transporting goods by barge using oars and the tide alone have been around for far long however,” he adds. 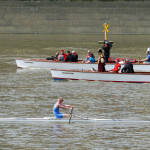 The race begins at Greenwich at 11am with the barges expected expect to reach Westminster about 90 minutes later. 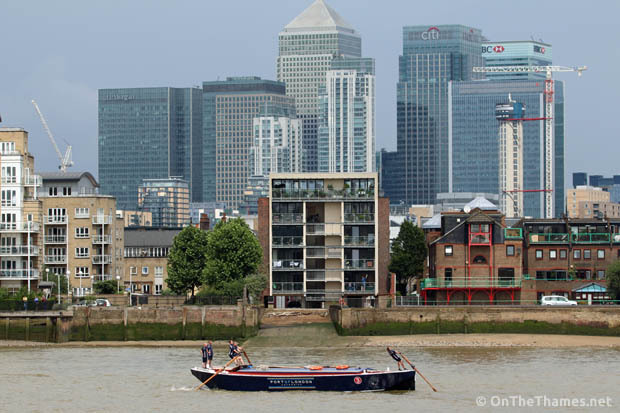 Watched the apprentices today from Wapping as they approached Tower Bridge my father Tony Dove his 2 brothers Henry & Terry and my Grandfather Harry Dove were all Watermen Lightermen – it was great to see the barges under oars .